I don't need to tell you how great your experience will be while listening to music or watching your favorite movie or while playing your game if you have a good headset on; or do I? If you are still searching for a reason then ask one of your friends how he feels about his headset. 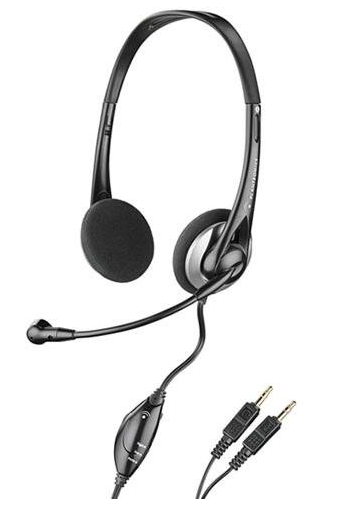 A wired headset comes with a mic too that can help you take advantage of the services offering free internet calling or VoIP. So, if you are all set to buy a good headphone and are just looking for the best options to buy it from Amazon.in then you are just at the right place. Let's take a look at some amazing wired headphones that you can get on Amazon.in. The Plantronics Audio 326 has the features like the options of watching video, listening to music, or streaming in a Podcast with full-range stereo output. Its Noise-isolating microphone gives speech clarity and its easy in-line controls adjust the music and microphone volume in a single touch. This lightweight and flexible headset guarantees comfort for hours together. 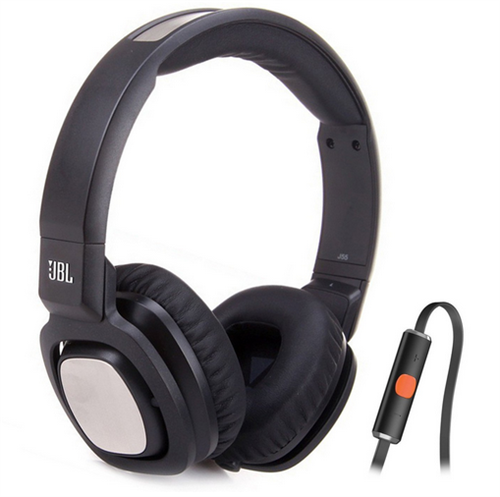 Its swivel-mounted ear cushions centralises the stereo sound for perfect audio output. It has got an adjustable boom that brings the microphone closer for better conversation. Rotate it out of the way when listening to music or watching DVDs. The Plantronics Audio 326. Its advanced noise-isolation technology reduces the background noise to make every calling or listening discreetly clear for you. While listening to music, Podcasts, or DVDs, the Plantronics' Audio 326 pillow-soft ear cushions give a full-range stereo sound for maximum sound effect, its in-line controls is convenient to put music and microphone volume, with mute button to keep every option ready at your fingertips. Get comfortable with this lightweight and flexible headset for long hours of usage. 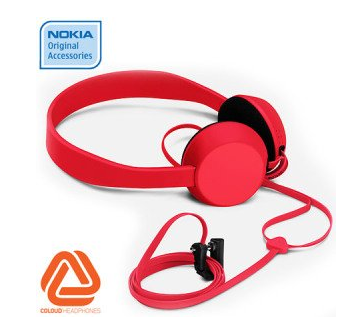 This discreet, durable and stylish headphone is a collaborative effort of Coloud and Nokia. These Knock headphones are made up of premium materials to make them durable and sturdy. Its advanced 40 mm drivers ensure high quality audio output including a built-in microphone for hands-free calling option. its multi-functional remote controls the calls and music too. Enjoy its tangle-free 'Zound Lasso' design and its high-end audio performance. The metal housing drives of this precision-cut headphone elevates the sound system to an ecstatic level. Its noise isolation technology keeps everything out apart from the core music. For an enriched musical sound system, Skullcandy S2TTDY-016 is a must buy this year. Feel the vibrations of the awesome music through the bass-driven stereo sound of MM 30i headset. It is an ideal headset for everybody, with full control of ipods, iphones and ipads. The in-line remote control with microphone turns the volume up and down, controlling your playlist, answering or ending phone calls. It has got its iPhone voice control activated so no need to look around for your phone. Its ear-canal design with ear-sleeve snug fits to every ear shape. 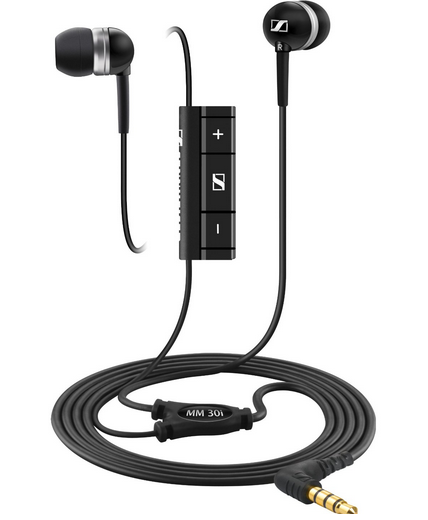 For an ideal musical experience, upgrade to this Sennheiser MM 30i Ear Canal In-Ear Headphone. Try these high performance headphones with latest control system with best quality sound effect very much within your esteemed budget.